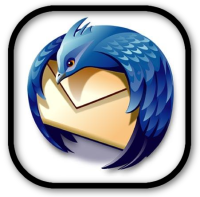 Whether you are using Linux or not, Thunderbird is a great email client. It’s been around awhile, and works well. But what if we want more than what Thunderbird offers stock? 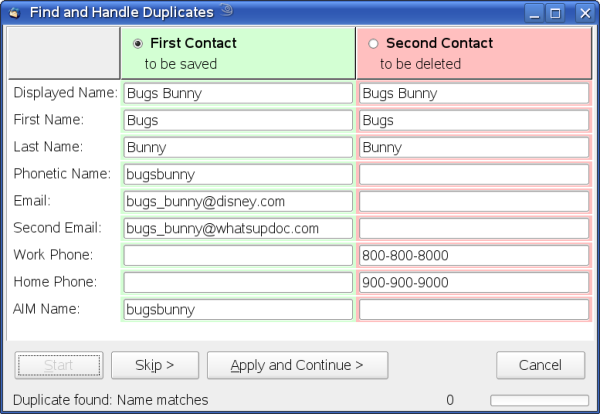 What can we do so that we can share address books between users on completely different computers? Is there a way to use calendars? Can we then share the calendars so other users can access them? With fresh-from-the-box Thunderbird, good luck. Fortunately, the folks at Mozilla have given us the ability to create extensions for this great email client. Because of this, we have a bunch of slick extensions that can provide us with some cool features. Mainly, if we don’t want to pay huge fees for proprietary solutions, but we still want to be able to share address books and calendars, we can do it with Thunderbird. We just need to know which extensions to use. 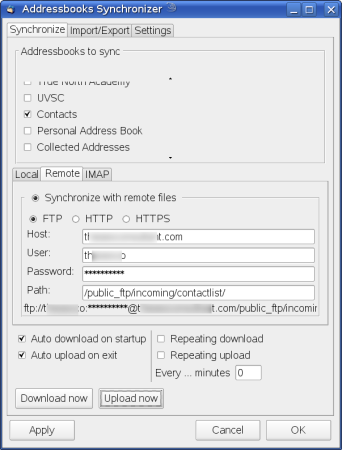 This plugin gives you the ability to synchronize whatever address books you have in Thunderbird. You can sync between home, office, and laptop. You can sync between all your users at the office. It’s a snap to install and configure, unlike a shared directory. Especially if said directory is on a proprietary solution. Once you get it installed, and you restart Thunderbird, go to the TOOLS menu, and select ADD-ONS. In the list that appears, select “Addressbooks Synchronizer”, and then click the PREFERENCES button. This extension makes sure that you are aware of and can update to any new versions of Lightning that appear. The latest and greatest is what we like, so I highly recommend this extension. 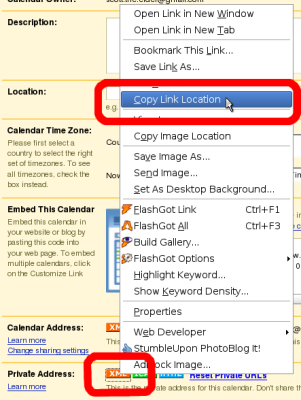 You now have a link to your Google Calendar copied to your clipboard. 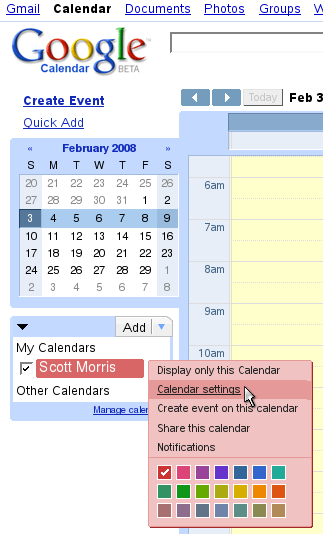 The following screen allows you to select a name and a color for your calendar. Go ahead and set them as you wish and press NEXT. 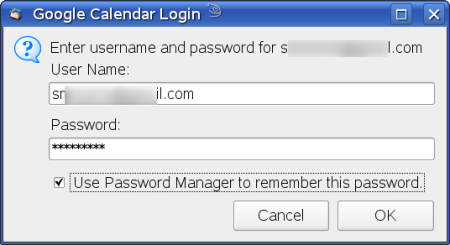 You need to know the password of the account whose private calendar you are accessing. This means that you should do one of two things. First, you could set up a Gmail account that everyone in the group knows the password for. This way, they can all change things as necessary. Another alternative is to only share your calendar with people you trust. Either way, it’s a matter of preference. 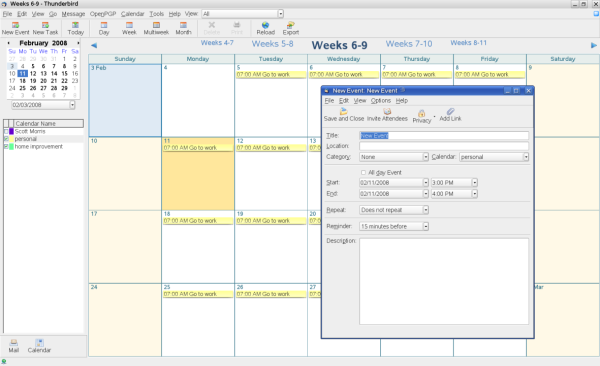 You could do a combination of the two, as you can have as many calendars in Thunderbird as you want. So fill in the password, check the box to remember it, and click OK.
You can now share the Calendar URL with whoever you need to. Point them to this tutorial on how to set it up for themselves. 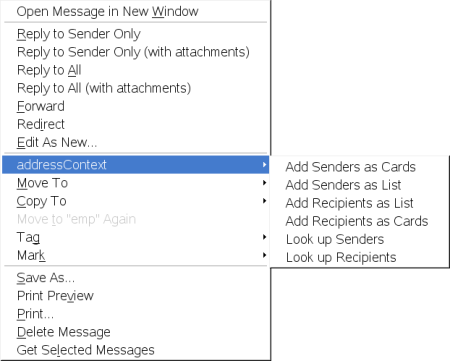 5 – addressContext – An extension to add addressbook-related options to the context menu. So, for example, let’s say the HR department where I work sends out an email with every email address in the company as a recipient. If I right-click on that message, I can add every recipient therein as an address book contact. Boom, instant employee directory. If you want to sync contacts and calendars between many computers, these extensions will give you this capacity. These are a small handful of the available extensions for Thunderbird. There are a bunch more available for your enjoyment or to boost productivity. Check them out when you get a moment. If you want to give Thunderbird some visual appeal, take a look at the Top 10 Best Themes for Thunderbird. Which email client is the reigning king? Question of the day: What is the difference between a duck? Answer: I just called your mom. Here’s a prediction for you: Whoever (M$ is not included here) makes the perfect email client, and has the muscle to get a huge install base for it will have unparalleled influence over the way people communicate. You see, email is the new telephone, though it will never replace the telephone. Just like the telephone will never equal talking face-to-face. But see, more people are using email than ever have before. Why do you think spammers keep on their evil deeds? They know and realize the expanding power of email. But back to the topic at hand : the perfect email client. On September 18, 2007, I wrote a few thoughts about the Top 9 Things Thunderbird Will Need to ‘Make It.’ As far as these things are concerned, I’m still left with a feeling of, “We can put a man on the moon, so why can’t we make a stellar email client?” Determining and declaring the best email client available today is futile and pointless. Why? Because everyone has different needs. What fills my needs the best, you may abhorrently hate. What you may find to be invaluable may be totally useless to me. That said, I wanted to see if I could take a little more of an objective approach to determining the features offered by the most common email clients. This would then give people some small quantification as to how they might find the email client that meets their criteria the best. Large install base – this means a lot of available support from the community. Forums, FAQs, blogs, and howtos are readily available for when you need to learn how to do something with the software. Easily extendable – it should have an API which people can use to develop plugins or extensions for the software so as to make it more usable for their needs. This also gives the developers of the project an idea as to what is most important for people. If used properly, it can give a kind of ‘suggested development path’ provided by the community. Synchronization / Collaboration – This one isn’t new. You need to be able to synchronize mail, schedule, tasks, notes, documents, and contacts across multiple installations of the software. It would be wonderful to invite people to appointments and assign tasks to others. How about giving varying degrees of access to my schedule, appointments, and tasks? Core Functionality – Has to support email, schedule, tasks, notes, contacts and must aggregate my RSS feeds. And not only support them. Each area should be well into mature stages of stability and feature sets. Don’t make me work an eternity to get the thing set up and working. Speed and Responsiveness – I once got in trouble from a reader when I said that waiting gives me cancer, so I won’t say that. Know that I do get malignant moles removed at least once a month. Do not make me wait. That said, let’s take a look at the different email clients and what my experience has been with each of them. It is basically a java-driven multi-platform collaboration tool that is free for individual use, but has widely expandable capabilities for a yearly per-user fee. I’ve used it for around 4 years off and on. That now said, let’s take a look at the pros and cons of Thunderbird, UVC, and Evolution. I would include all of the KMail/KDE tools, but I have not, as yet, done much research on them. If you have links to any great tutorials, howtos, or information pages explaining those capabilities, please let me know. Able to view appointments, contacts, etc. Able to send appointments, contacts, etc. Is there an open source collaboration server that NATIVELY will work with either Thunderbird or Evolution without too much headache or loss of precious (read non-existant) financial resources? If there is something that is missing here, give me your feedback. Argue your point well, don’t just put a link to release notes or feature list. Tell me why something is or is not important to you personally.